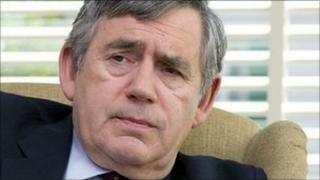 Former Prime Minister Gordon Brown is to take on an advisory role at the World Economic Forum. Mr Brown will take up the unpaid role chairing a board made up of the heads of international organisations and government representatives. There had been speculation he could become the next head of the International Monetary Fund. But David Cameron argued Mr Brown may not be the "best person" to head the global finance watchdog. The World Economic Forum describes itself as an international organisation "committed to improving the state of the world". It is best known for its annual meeting, usually held in Davos where top international business leaders and politicians are joined by artists, academics, religious leaders, trade unionists and campaign groups. There had been much speculation Mr Brown - who was chancellor for ten years before becoming prime minister in 2007 - would be offered a role at the organisation. Its founder and executive chairman, Professor Klaus Schwab, said he would bring a "wealth of knowledge and experience" to the role, which is unpaid, although staff costs will be covered. "As his recent book clearly demonstrates, he has valuable insights into the global agenda that will complement and inform many of the Forum's initiatives," he said. Mr Brown is due to make a speech to business leaders in South Queensferry, near his Kirkcaldy and Cowdenbeath constituency, later. He will warn that the "world has been too ready to unlearn the lessons of the financial crisis and there is a danger that we are sowing the seeds of the next financial crash". Speculation that the World Economic Forum role could act as a stepping stone to Mr Brown succeeding Dominique Strauss Kahn as head of the IMF, were downplayed by the prime minister last week. Mr Cameron told the BBC: "If you have someone who didn't think we had a debt problem in the UK, when we self-evidently do, they might not be the best person to work out whether other countries around the world have a debt and deficit problem". He added: "Above all what matters is the person running the IMF someone who understands the dangers of excessive debt, excessive deficit, and it really must be someone who gets that rather than someone who says that they don't see a problem." However Mr Brown's successor as Labour leader, Ed Miliband, said the former PM was "eminently qualified" for the role, adding: "I think that Gordon Brown's record in relation to the financial crisis of 2007/8, when he made a huge difference to preventing recession becoming depression, was outstanding."